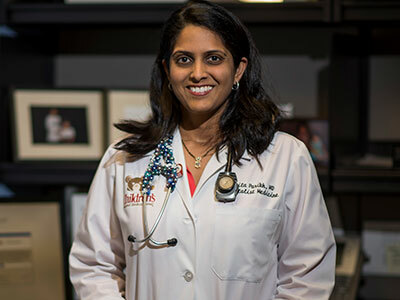 “Improving how we care for children who are hospitalized with asthma includes preparing them for a successful return home with the best tools to manage their illness and prevent a future hospital visit,” says Kavita Parikh, M.D., M.S.H.S. 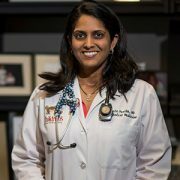 Readmission rates at three months for kids hospitalized for acute asthma dropped when families received comprehensive education prior to discharge, the only single component of discharge bundles that was strongly associated with lowered readmissions, finds a multicenter retrospective cohort study published online Feb. 1, 2018, in The Journal of Pediatrics. According to the Centers for Disease Control and Prevention, asthma is the most common chronic lung disease of childhood, affecting roughly 6 million U.S. children. Hospitalization for asthma accounts for $1.5 billion in annual hospital charges and represents almost one-third of childhood asthma costs. Children who are hospitalized for asthma have a roughly 20 percent chance of returning to the hospital in the next year, and individual hospital readmission rates can range from 5.7 percent to 9.1 percent at three months, writes the study team. While the National Institutes of Health (NIH) has published evidence-based guidelines for discharge planning, there is no single, standardized asthma discharge process used across all pediatric hospitals in the U.S. that impacts 30-day readmission rates. The study team analyzed records from a national sample of tertiary care children’s hospitals, looking at hospitalizations of 5- to 17-year-olds for acute asthma exacerbation during the 2015 calendar year. They characterized how frequently hospitals used 13 separate asthma discharge components by distributing an electronic survey to quality leaders. Forty-five of 49 hospitals (92 percent) completed the survey. The 45 hospitals recorded a median of 349 asthma discharges per year and had a median adjusted readmission rate of 2.6 percent at 30 days and a 6.6 percent median adjusted readmission rate at three months. The most commonly used discharge components employed for children with asthma were having a dedicated person providing education (76 percent), providing a spacer at discharge (67 percent) and communicating with a primary medical doctor (58 percent). Post-discharge activities, including home visits and referrals for environmental mitigation programs. Study co-authors include Matt Hall, Ph.D., Children’s Hospital Association; Chén C. Kenyon, M.D., M.S.H.P., The Children’s Hospital of Philadelphia; Ronald J. Teufel II, M.D., M.S.C.R., Medical University of South Carolina; Grant M. Mussman, M.D., M.H.S.A. and Samir S. Shah, M.D., M.S.C.E., Cincinnati Children’s Hospital Medical Center; Amanda Montalbano, M.D., M.P.H., Children’s Mercy; Jessica Gold, M.D., M.S., Lucile Packard Children’s Hospital Stanford; James W. Antoon, M.D., Children’s Hospital; Anupama Subramony, M.D., Cohen Children’s Medical Center; Vineeta Mittal, M.D., M.B.A. and Rustin B. Morse, M.D., Children’s Health; and Karen M. Wilson, M.D., M.P.H., Icahn School of Medicine at Mount Sinai. Research reported in this post was supported by the Agency for Healthcare Research and Quality, K08HS024554.